i took the week of my birthday off from work and today was the first day we were all back in the office. 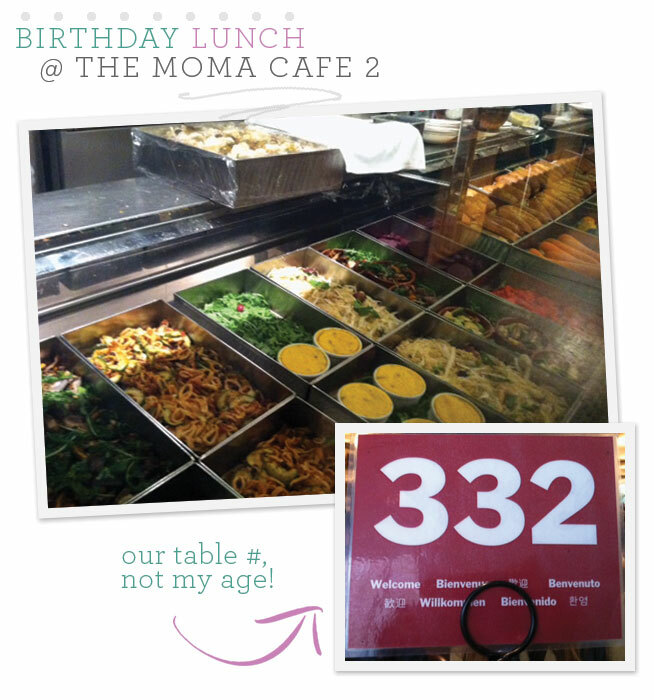 as a sweet treat the ladies took me to lunch at the MOMA cafe 2 on the second floor of the museum. it was so lovely. the food was great and even though it seemed like the wait would take forever it moved pretty quickly.